On 23rd November 2017, WWE aired its 275th episode of NXT, taped at the Toyota Centre in Houston, TX before NXT TakeOver: WarGames on 18th November. 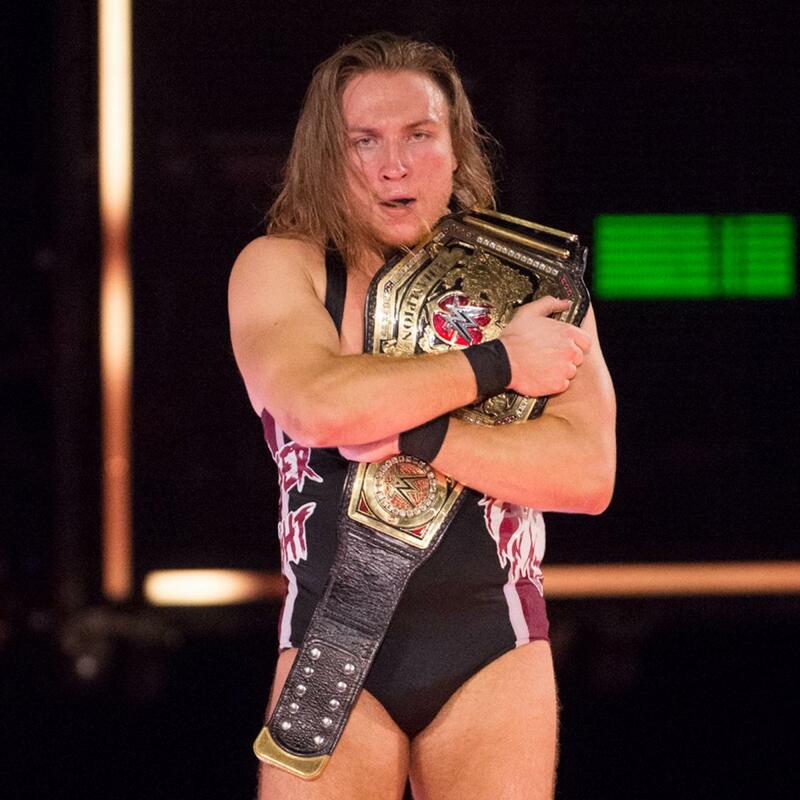 Our main event saw the United Kingdom Championship on the line as the 'Bruiserweight' Pete Dunne defended his title against the man we know as 'Johnny Wrestling', Johnny Gargano. The show also featured recent main roster call-ups Ruby Riot (Heidi Lovelace) & Sonia Deville doing battle and lots of footage from the TakeOver event. These post-shows tend to normally be very much padding and bullsh*t, but could this break the curse? This has retroactively become a double farewell match it seems as both women are now on the main roster. Lock-up to begin as Deville powers to the corner, Riot pushes Deville away and they go back into lockup with the two jostling for control till Riot hits a double arm drag to separate, going in for a third lock-up, Deville rushes into a waistlock takedown, powering into an O'Connor roll for a 1, leg sweep by Riot and a cover gets her a 1, back up and Riot powers up with arm drags and kicks, Deville whips out and hits a front chop block to take down Riot for an almost 2 count to send us to the ad-break, back from the break and Deville is exercising control with corner shoulder tackle and big overarm strikes, Riot rolls out with Deville following, Riot gets a small package for a 2 but is back up into a spinebuster for a 2 for Deville, Deville pushes Riot back down for another pin but only a 1 this time, Riot gets back up but is immediately hit with a roundhouse, grounded, Deville begins working over the previously injured ankle, nearly bending it round her entire body, Riot escapes, in the corner, goes for deadly nightshade but Deville throws her over the ropes, Riot catches her with a forearm on the apron and a slingshot flatliner, both take their time to get back up as they trade chops, Riot hits a series of lariats but Deville forces her to the ropes, going for a running strike, Riot catches her with an STO and a single-leg springboard senton for a 2, picking up Deville, she leverages her weight to send her knee into Riot before locking in a triangle armbar, as Riot's about to escape, Deville transitions to a drop toe hold, Riot is fading but crawls to the ropes, the ref forces Deville to break, she argues with the ref, as she's distracted, Riot hits a sudden Riot overhead wind-up Kick for the pin. This was superb work from both women with the previously injured ankle playing well into the storyline as Deville went for that most classic of heel tactics, isolating a weakness and exploiting it, it lacked a really good near-fall down the home stretch to sell the drama but it did have the extended crawl to the ropes which could function as such. The true shame of this match is how good Riot is as an empathetic babyface that they debuted her on main roster as a heel (especially when paired with Morgan and Logan, both faces as well). While I'm sure she'll be great in the role, it still seems like a shame in the main roster landscape which lacks unsullied faces that they would change one of the strongest they have. Still, good luck to both of them, even if just taken on the basis of this match, I expect very big things. We get recaps of Aleister Black v Velveteen Dream & Lars Sullivan v Kassius Ohno. There's also an interview with Sullivan that, if you read my TakeOver review, you'll have already seen on the YouTubes. We get a recap of the Women's Title Fatal-Four Way. There's also an interview with Ember Moon that, if you read my TakeOver review, you'll have already seen on the YouTubes. We get a recap of the NXT Title Match. There's also interviews with Almas, Vega & McIntyre that, if you read my TakeOver review, you'll have already seen on the YouTubes. We get a recap of the WarGames match, complete with previously promised 'exclusive footage' that amounts to mostly a few clips of audience people freaking out and Dustin Rhodes & Arn Anderson being a pair of proud Dads. This wasn't on the YouTubes last week. Last week, after they beat Riddick Moss & Tino Sabbatelli, The Street Profits (Montez Ford & Angelo Dawkins) celebrate on top of Moss & Sabbatelli's shared car. They tell them to get off the car, the crowd around the car boo them. As per normal, everyone talks over each other. Next Week: Street Profits takes on Moss & Sabbatelli. Again. Also Kairi Sane takes on the half of the Iconic Duo she hasn't beaten yet, Peyton Royce. I still don't understand why they're trying to pretend this is happening the week after TakeOver, we can all see the second ring, still, let's not let that ruin what's another bloody corker of a match. We open on the two men testing each other's wrestling acumen as they switch through so many holds, I can't be bothered to write it out, needless to say, it was lovely stuff, Dunne ends the technical opening section with a whirlwind forearm, collapsing Dunne to the corner, Dunne keeps him down with kicks and strikes, Dunne goes for a running strike but Gargano dodges and hits a low running rana sending Dunne out of the ring, Gargano jumps the ropes and hits the apron back kick and a cannonball, Gargano goes to throw Dunne back in but instead decides to hit an outside tornado DDT but Dunne has other plans and turns it into an x-plex on the apron into the ad-break, back from the break and Dunne is keeping Gargano grounded and bending away at his fingers as the commentary team put over Dunne's attempt to neutralise the GargaNo Escape, can't lock a crossface with broken fingers, stomps to the shoulder as Dunne releases and pulls Gargano into a standing finger wrench, he twists the elbow round before applying bodyscissors, allowing Gargano to turn it into a buckle suplex, Dunne gets up and charges but Gargano, dodges, trips him and gambols through hitting a rolling kick, back up, Gargano goes to the ropes and hits a slingshot spear for a good 2, Dunne rolls out and Gargano follows with a tope con DDT, he rolls Dunne back in, he goes for a slingshot DDT but Dunne catches him into the x-plex for a 2, kicking Gargano directly in the head, he picks up Gargano for the Bitter End but is caught with a spiked DDT, Gargano rushes hitting a headscissor takedown into the GargaNo Escape, just as Dunne seems to be fading, out comes the mouth-guard and Dunne bites his way through the previously injured fingers to escape before picking up Gargano for a Bitter End but it gets turned into a roll-up for a 2, back to standing and Dunne hits a forearm and an enziguri which Gargano follows up with a discuss clothesline, he notices the mouthguard on the ground and throws it to the side hitting a SUPERKICK for a 2.99 count, they trade strikes with Gargano punching Dunne to the ropes, Dunne throws him over the ropes as Gargano goes for another slingshot spear, or shlingshlot spear as Mauro calls it, but Dunne knows what's coming, catches Gargano with a forearm, allowing him to hit the Bitter End for the pin. Holy, forearms Batman, this was mighty good. The more technical start worked well as there was no reason for these two to hate each other but also, Pete Dunne the character is an egotistical nutcase who of course he'd want to try and prove he could out-wrestle the man named 'Johnny Wrestling', and then when he couldn't, he punches him in the head. This is as even a match as you could hope for and it even did the true wonder of a TV Title match of actually making you almost believe that Gargano could somehow win. As much as both men threw everything they could into this, you still felt like they left enough out of it that down the line, a rematch between these two could be even better. Further editions of the United Kingdom Open Challenge please. 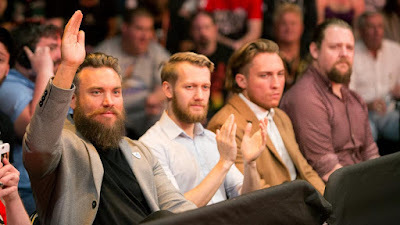 Tyler Bate, having rejected his previous tag partner Trent Sevenc to re-team with his original partner, Trent Seven, approach Peter about having forming some form of 'British Strong Style' tag team, whether it's a trios team or Peter with a partner, who knows? But those three as a trio? It'll never work. Johnny doesn't want to be told it was a good effort, he prides himself on what he does but that his purpose isn't to lose in great matches, he doesn't feel anything anymore and he wants to work out how to feel again. This is as good as you're going to get from the post-TakeOver NXT. Yes, the majority of it was adverts, padding and footage that was posted on the WWE YouTube page after Saturday's show but the matches for once felt like they had actual stakes and manages to give us what is one of the best TV matches of the year in the form of Dunne v Gargano. For once, the next round of NXT tapings have to actually live up to this episode, instead of making up for it.